Brighten the mood — and lower utility bills — with plenty of natural light. Brighten the mood - and lower utility bills - with plenty of natural light. By Charles Bever Have you noticed all the daylight streaming through shopping malls, schools and office buildings these days? It's no accident — the experts (architects, engineers, social scientists) report that people are often happier and healthier with regular exposure to daylight. Students improve their concentration, shoppers linger longer and employees miss fewer days of work if their office space is naturally lighted. "We may not always be conscious of it, but daylight affects our moods, relationships, health and productivity," says Orlo Stitt of Stitt Energy Systems in Rogers, Arkansas. And incorporating the mood-lifting benefits of daylight into your log home's design can be almost as easy as flicking a switch. 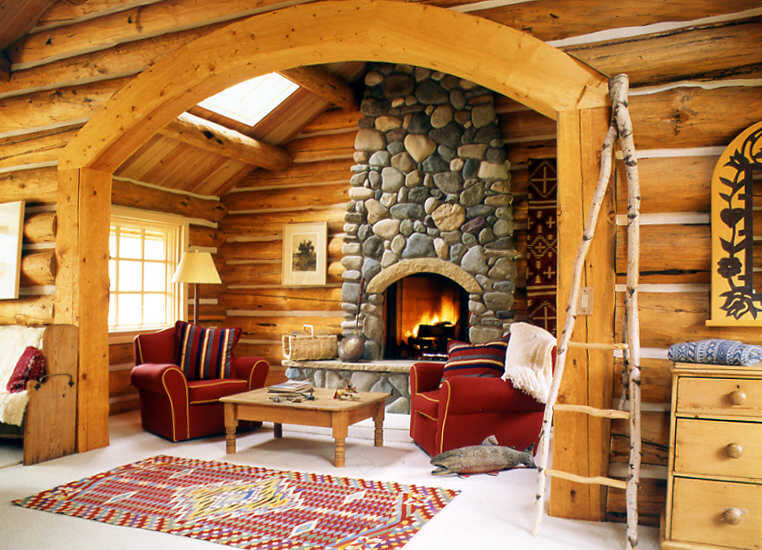 Because logs absorb more light than drywall it takes roughly twice the lumens to light a log home — but that doesn't mean you need to rely on more electric lights (especially during daylight hours). Consider your home's orientation to the sun's path and how it relates to your lifestyle. "Decide which areas need light at what time of day," Orlo explains. If you are a morning person, take advantage of the sunrise by placing your master suite on the east. To enjoy the sunset, site your great room on the west. "The possibilities don't end there," continues Orlo. "I once built a home for an artist couple who wanted soft light to paint by in their studio. We positioned it on the north side of the home to avoid direct exposure to the sunrise and sunset." Gary Whitehorn, a designer with Satterwhite Log Homes in Longview, Texas, adds, "Having lots of windows also brings the outside in — making smaller homes feel bigger." 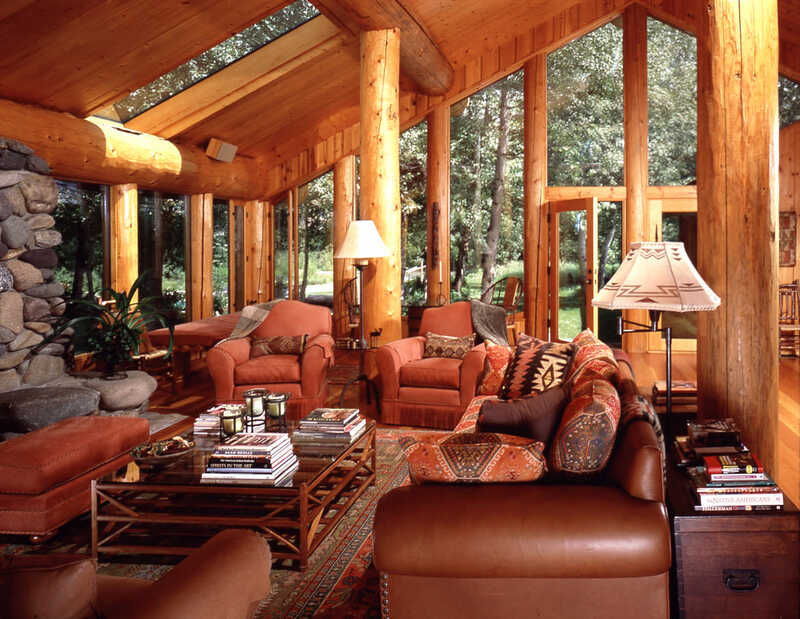 Adding daylight to your log home can also cut heating costs in the winter through what's known as "passive solar heating." To achieve this goal, face the widest part of your home with the most glass to the south. 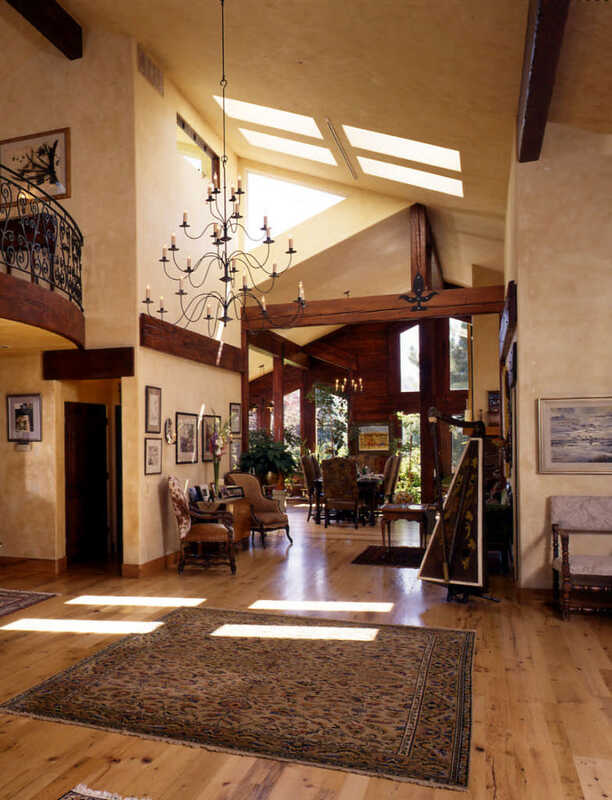 Inside, use masonry or stone floors to absorb and retain the sun's heat through the day, then radiate warmth through the evening hours. You won't get rich on this passive solar approach, but you will shave your heating costs — and help to protect Mother Earth by reducing fossil fuel use and carbon dioxide emissions in the winter. And don't worry: a daylight-friendly floor plan won't necessarily translate into higher AC bills in the summer, thanks to several "cool daylighting" strategies that architects employ. 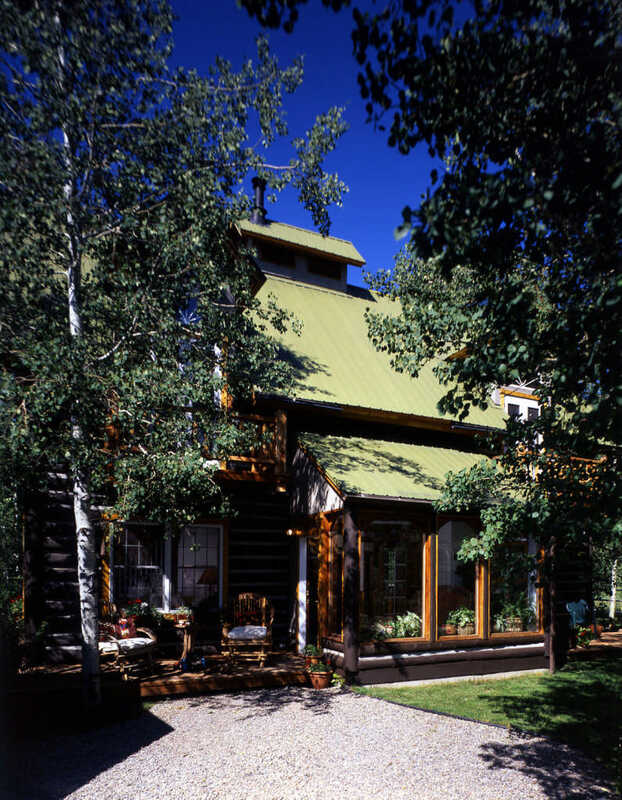 For example, 3-foot overhangs to the south protect the home from intense sunlight during the summer. When winter arrives and the sun is lower, light falls below the overhangs and adds passive solar heat. Deciduous trees and shrubs planted near south-facing windows can also shade the home in summer months while still allowing passive solar gain during the winter. On the interior, you can diffuse daylight deeper into your floor plan by angling light against the ceiling, either with blinds or by placing windows close to the ceiling. Low-E windows, which have microscopic metallic coating on the inside, reflect radiant heat — keeping the sun's heat from entering the home in summer or interior heat from escaping in the winter. They also prevent glare from interfering with your TV or computer screen. 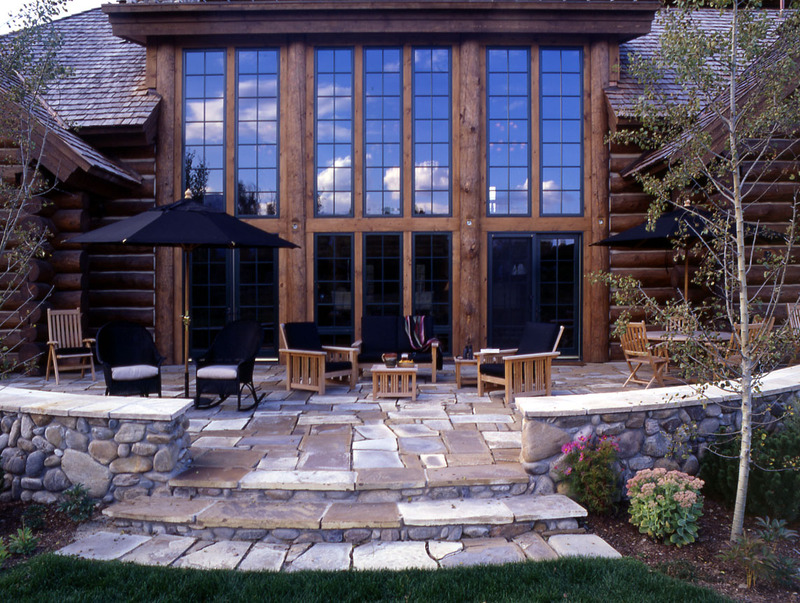 To break up the appearance of all that glass, try combining different types of windows. Don't go overboard, though — mixing too many may make your home look jumbled. But simple combinations — like placing a curved awning window over a pair of casement windows — can boost your home's style. 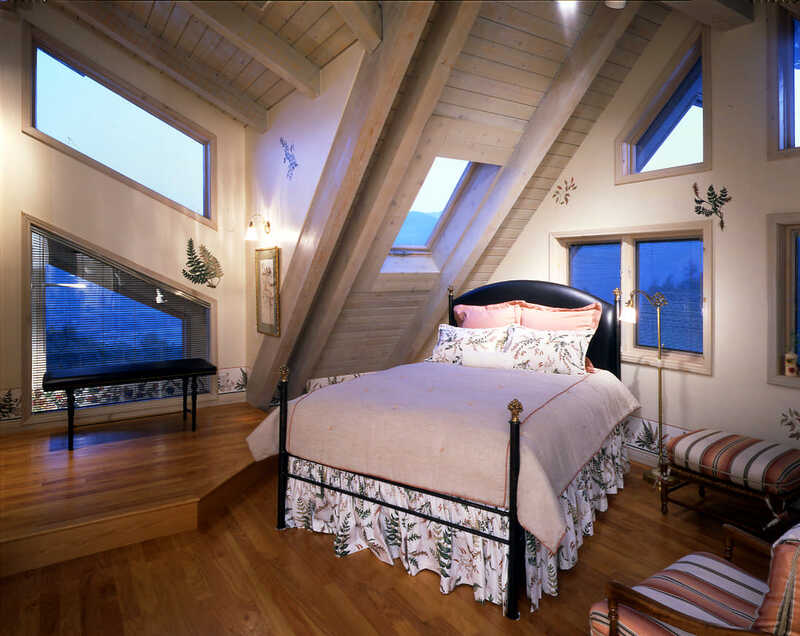 If privacy is a concern, opt for skylights in bathrooms, bedrooms and even walk-in closets (which may double as dressing rooms). Choose an experienced contractor or designer to ensure a daylighting design that will work for your home throughout the year. Every building site is unique, so have your builder visit the site during different seasons to understand how the sun's path interacts with the topography. Some builders go so far as to create scale models to test concepts of daylighting and sun control. "If you're interested in daylighting design, get your builder involved as soon as possible — long before the development of construction drawings," Orlo advises. Charles Bevier is editor of Building Systems, a magazine that profiles innovative construction technologies.